Is There an Atmosphere on the Moon? Until recently, most everyone accepted the conventional wisdom that the moon has virtually no atmosphere. Just as the discovery of water on the moon transformed our textbook knowledge of Earth’s nearest celestial neighbor, recent studies confirm that our moon does indeed have an atmosphere consisting of some unusual gases, including sodium and potassium, which are not found in the atmospheres of Earth, Mars or Venus. It’s an infinitesimal amount of air when compared to Earth’s atmosphere. At sea level on Earth, we breathe in an atmosphere where each cubic centimeter contains 10,000,000,000,000,000,000 molecules; by comparison the lunar atmosphere has less than 1,000,000 molecules in the same volume. That still sounds like a lot, but it is what we consider to be a very good vacuum on Earth. In fact, the density of the atmosphere at the moon’s surface is comparable to the density of the outermost fringes of Earth’s atmosphere where the International Space Station orbits. 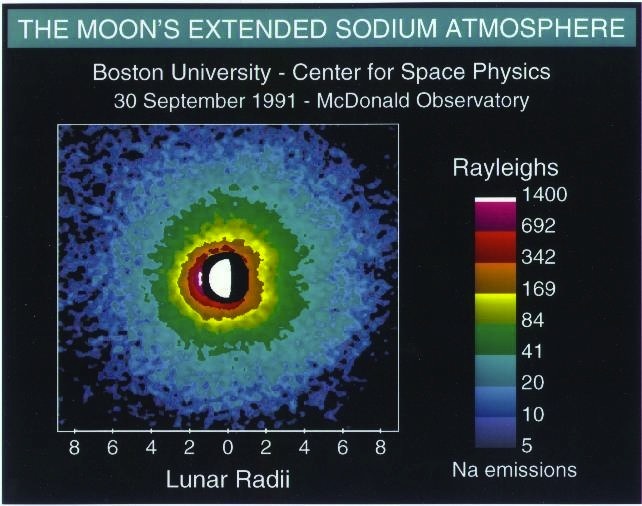 What is the moon’s atmosphere made of? We have some clues. 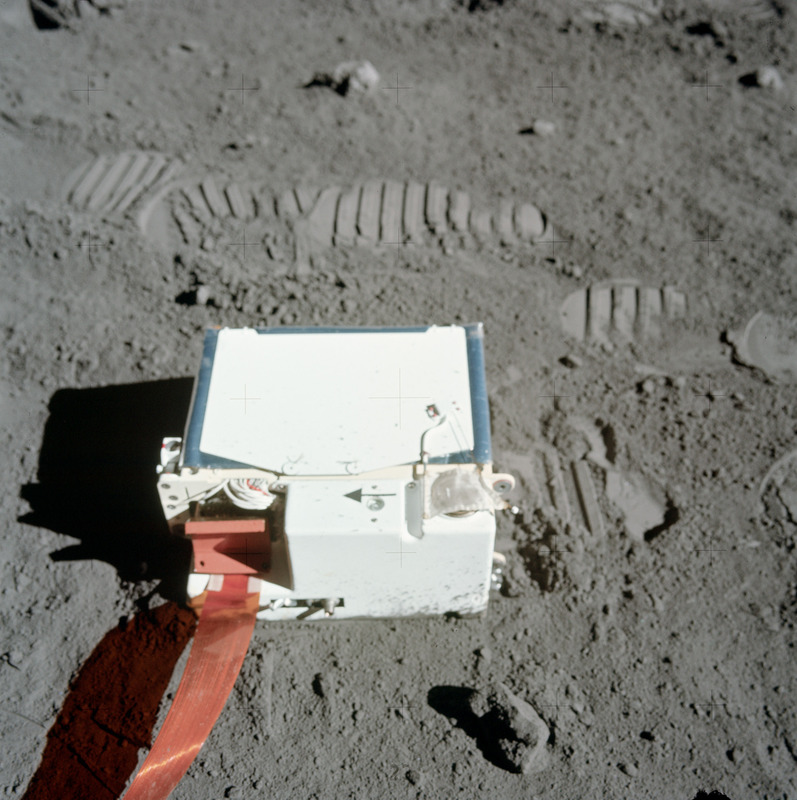 The Apollo 17 mission deployed an instrument called the Lunar Atmospheric Composition Experiment (LACE) on the moon’s surface. It detected small amounts of a number of atoms and molecules including helium, argon, and possibly neon, ammonia, methane and carbon dioxide. From here on Earth, researchers using special telescopes that block light from the moon’s surface have been able to make images of the glow from sodium and potassium atoms in the moon’s atmosphere as they are energized by the sun. Still, we only have a partial list of what makes up the lunar atmosphere. Many other species are expected. We think that there are several sources for gases in the moon’s atmosphere. These include high energy photons and solar wind particles knocking atoms from the lunar surface, chemical reactions between the solar wind and lunar surface material, evaporation of surface material, material released from the impacts of comets and meteoroids, and out-gassing from the moon’s interior. But which of these sources and processes are important on the moon? We still don’t know. With the discovery of significant ice deposits at the moon’s poles by NASA’s Lunar CRater Observation and Sensing Satellite (LCROSS) and Lunar Reconnaissance Orbiter (LRO) missions, and the discovery of a thin scattering of water molecules in the lunar soil by the Chandrayaan X-ray Observatory, another fascinating possibility has captured researchers’ interest. The moon’s atmosphere may play a key role in a potential lunar water cycle, facilitating the transport of water molecules between polar and lower latitude areas. The moon may not only be wetter than we once thought, but also more dynamic. One of the critical differences between the atmospheres of Earth and the moon is how atmospheric molecules move. Here in the dense atmosphere at the surface of Earth, the molecules’ motion is dominated by collisions between the molecules. However the moon’s atmosphere is so thin, atoms and molecules almost never collide. Instead, they are free to follow arcing paths determined by the energy they received from the processes described above and by the gravitational pull of the moon. The technical name for this type of thin, collision-free atmosphere that extends all the way down to the ground is a “surface boundary exosphere.” Scientists believe this may be the most common type of atmosphere in the solar system. In addition to the moon, Mercury, the larger asteroids, a number of the moons of the giant planets and even some of the distant Kuiper belt objects out beyond the orbit of Neptune, all may have surface boundary exospheres. But in spite of how common this type of atmosphere is, we know very little about it. Having one right next door on our moon provides us with an outstanding opportunity to improve our understanding. 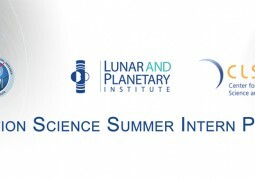 Among the goals of the Lunar Atmosphere and Dust Environment Explorer (LADEE) are to determine the composition and structure of the tenuous lunar atmosphere and to understand how these change with time, and as external conditions vary. LADEE’s measurements come at a key time: with increasing interest in the moon by a number of nations, future missions could significantly affect the natural composition of the lunar atmosphere.